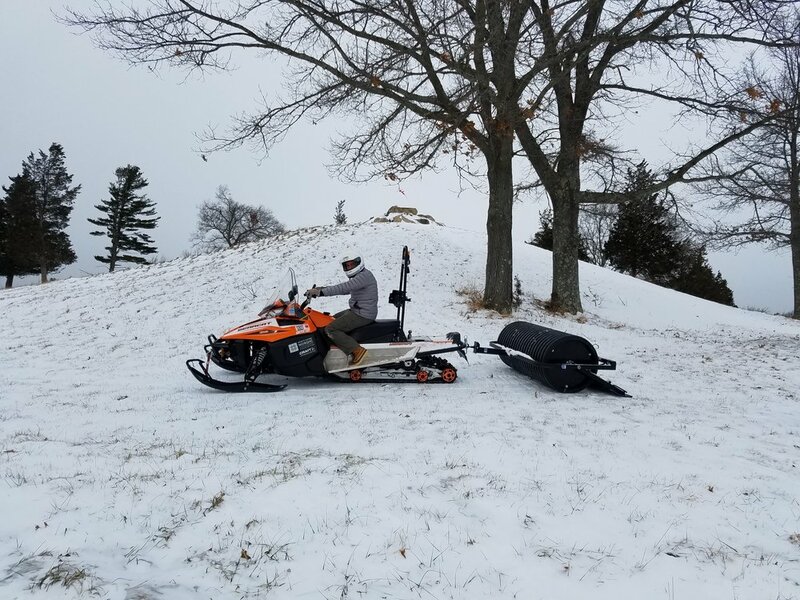 Our volunteer grooming team did a test up and around Sagamore Hill. They encountered thin cover, wind blown, and icy conditions. There wasn't enough snow to use our ginzu groomer and our roller had little effect due to the icy crust. There is still good skiing at Appleton, Pingree, and Bradley Palmer. See our grooming report from yesterday for a complete list of trails, and don't forget to donate. See you out there for some good winter exercise! All set for a grooming at Sagamore Hill, but the snow was all blown out.